“My target is to play my football, and not to change to other football (styles), Sarri said. “Today I didn’t see my football. At the beginning it worked, so now we need to understand the reason why at the moment it isn’t working." Things have unraveled very quickly for Sarri and his side. 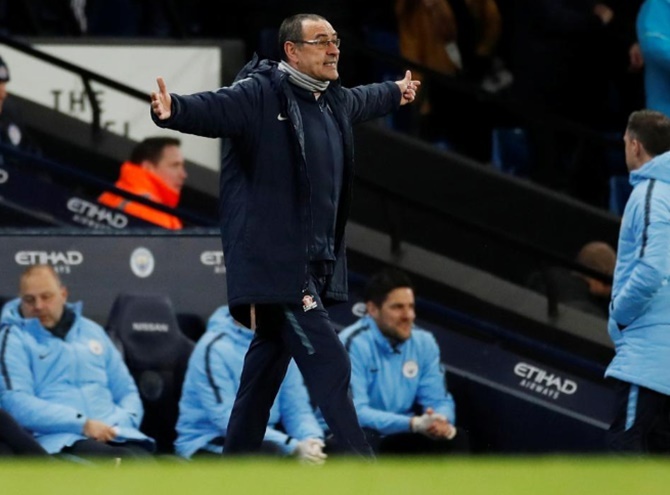 When Ole Gunnar Solskjaer took over from Jose Mourinho at Manchester United in December, it appeared Chelsea were in a straight tussle with Arsenal for fourth spot, with Sarri’s side three points ahead of their London rivals and 11 above United. “I know what he wants to do,” the City manager said. “They want to try to do it, they beat us at Stamford Bridge. The people don’t understand how difficult it is to do something."